We fit bathrooms to the highest standard possible. All types of building work undertaken and guaranteed. All electrical work carried out by our own fully qualified electrician. We do all the plumbing required on all our jobs. We can help you design your new bathroom, kitchen or new build. We are full of ideas. 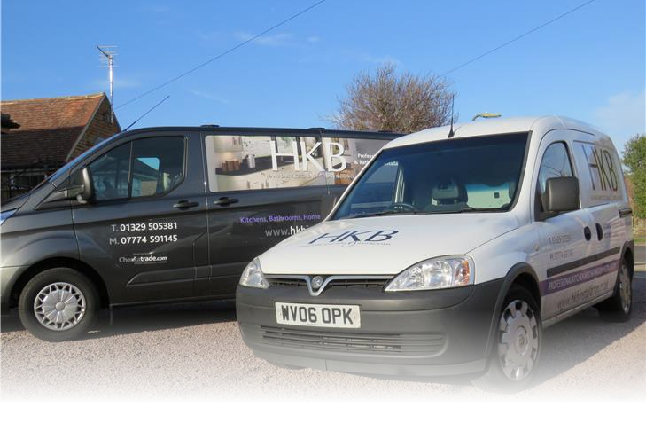 HKBInstallation is a kitchen and bathroom fitting company based in Hampshire. Supplying quality kitchens at competitive prices, and providing a quick, hassle-free installation allows you to get the kitchen you've always dreamt of. Owned and managed by Roger Wright, who has been involved in the kitchen industry for over twenty five years, those who choose HKBInstallation can benefit from his experienced and professional approach. Our employess are certified and highly experienced professionals. You have the piece of mind with a local tradesman who has traded in the area for 25 years with a great reputation. Hear From Our Happy Clients Via CheckaTrade - 9.88 Average Score!